Even if you are not considering putting your home up for sale at this time, it is always nice to know that you can get extra dollars for your home just because of this extra space. It will add so much to the overall appeal and will sell so much faster with sensible and highly desirable additions such as this. Your garage may be overflowing with lawn equipment, toys, sports paraphernalia, holiday decor, extra refrigeration, and your tools. If you have a pool, you may need space to store seasonal chemicals, pool furniture, and other supplies. Remove those items that you do not use often and relocate them to that new shed in your backyard. This will free up so much space and make items much easier to find and use. You may have a hobby that you really enjoy, but the space in your home will not allow you to actively pursue it. It may be woodworking, sewing, gardening, writing, painting, raising chickens or rabbits, or upholstering. Whatever the case, storage sheds can be transformed into the most peaceful and inspirational areas for pursuing your passions. Add electricity, air conditioning, and heat, and you will have the space of your dreams. Your home may be stretched to the seams. Bedrooms may be overloaded (you can only purchase so many bunk beds), and everyone is rubbing elbows in the living areas of your house. Consider adding a storage shed in the backyard and moving your teen into his own private space. Or you can turn this structure into a delightful guest room, so visitors will not have to sleep on the couch. Use a shed to utilize a playroom or playhouse so all those toys won’t be underfoot. 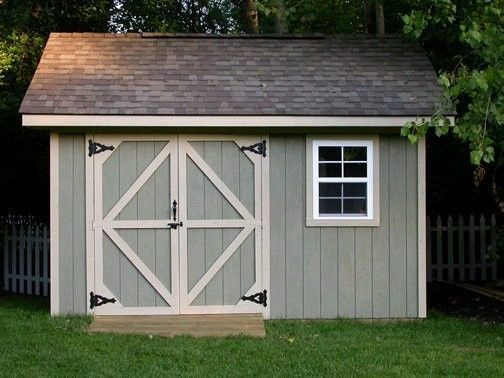 Once you start thinking, so many ideas on how to most efficiently use these unique storage sheds will pop into your head. You may wish to work from home and need space for inventory or an office. An insulated storage shed may be the perfect solution. You will have privacy, security, and ample space to get your business off the ground. You will be able to customize the space to fit your needs by adding shelving, office furniture, and other accessories, plus have easy access to your business as needed. As you can see, there are so many reasons to add a storage shed to your property. This list of advantages can go on and on, but these are just a few reasons to consider adding this structure to your backyard. You can get truly creative with this addition and will not know how you did without it in the past.